In the realm of mechanical keyboards, size often is a (forgive the pun) large factor in the fit and finish of your keyboard. The Venerable IBM Model M takes up a fair amount of real estate on the desk, and if you find a good mechanical deck with a small footprint, the height of the switches often makes the keyboard feel awkward. 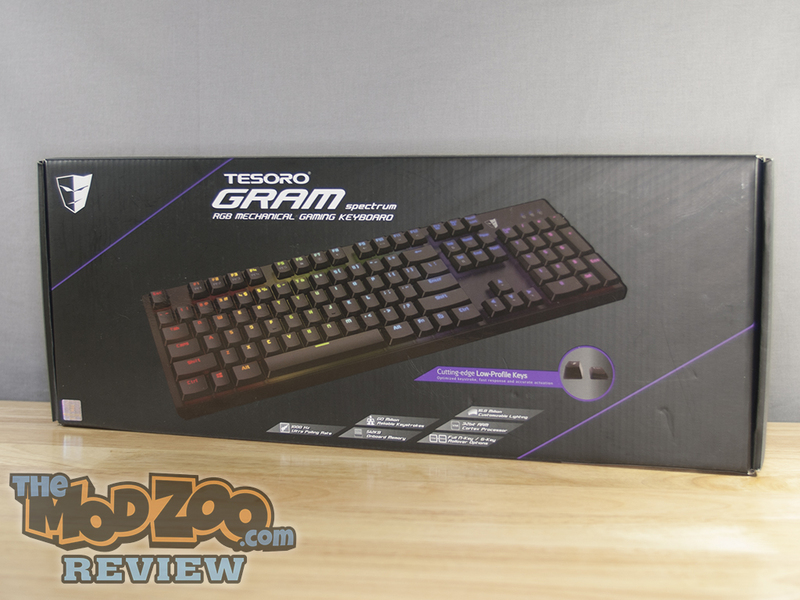 Enter the Tesoro GRAM Spectrum – A keyboard designed around the thin AGILE key switch, manages to capture a smaller footprint and blends it with a lower key height to give you a keyboard that is sleek, stylish and feels like a great mechanical board under your hands. Toss in RGB backlights on each switch for 16.8 million color combinations as well as a thin and sporty looking plastic body with an aluminum face plate and you have a keyboard that looks great as well. Let’s get a better look at the keyboard.